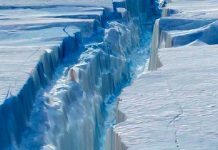 Home News Breaking News ONLY FEW HOURS LEFT TO WIN A TESLA OR $50K! ONLY FEW HOURS LEFT TO WIN A TESLA OR $50K! 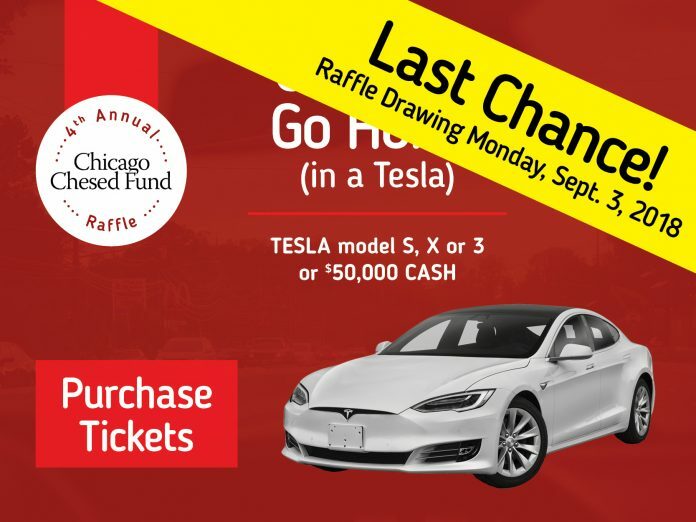 ONLY A FEW HOURS LEFT– Win a Tesla model 3, S, or X walk away with $50,000 at tonight’s Chicago Chesed Fund 4th Annual Tesla Raffle. Time is running out – click here to GET YOUR TICKETS before it’s too late! Who’s it going to be? 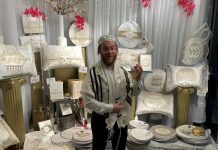 Take part in this unique opportunity to brighten the lives of countless Jewish families in need. A maximum of 3,999 tickets will be sold, so grab one while the supply lasts! 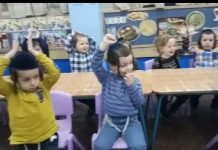 Chicago Chesed Fund is a nonprofit organization committed to helping Chicago’s Jewish families in crisis. It provides critical assistance in the form of goods, services and financial support in an environment that maintains the dignity and integrity of every recipient. Ma’aser money can be used towards the purchase of these raffle tickets.